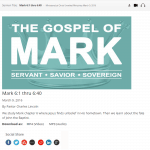 Christ Unveiled was paying a large fee to their live streaming service to store past recordings of services and bible studies. They were already storing audio and video files on their dedicated server for their internet radio and mobile apps. Christ Unveiled wanted a way to archive all the media (video and audio) on their server and make it available on their website. The media also needed to be available for countries with low bandwidth and on mobile devices. 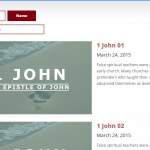 The solution must not require any changes to the church website by the church volunteer staff. They wanted the title, description, and date to all come from the audio or video metadata. Some files in the folders are not to be included and some directories can be skipped. 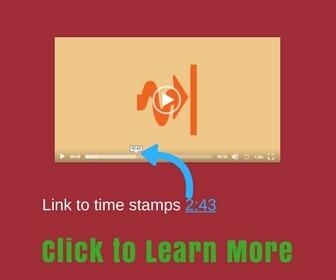 Website visitors must be able to download the audio or video version of a message. I created a script that reads the files in the specified media directories every seven days. Then, when someone visits the archive page, they are presented with three messages. As they scroll down the page more messages are loaded without the page reloading. The messages can be sorted by name or date. If an audio and a video version of the message is available, they display on the same player page. The Media archive can be filtered by a series without reloading the page. The media archive has been upgraded to show the author and sermon date on the archive page and the player page.